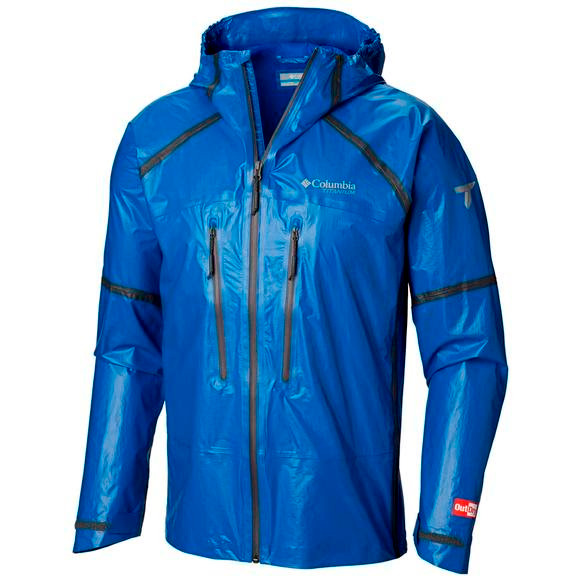 The Columbia Men's OutDry Extreme Featherweight Shell delivers lightweight protection from the elements. Crafted of our award-winning OutDry™ Extreme waterproof-breathable material with the membrane on the outside, and featuring contoured sleeve cuffs and adjustable peripheral hood, this is your go-to jacket. Plus, it's backpack-compatible. The Columbia Men&apos;s OutDry Extreme Featherweight Shell delivers lightweight protection from the elements. Crafted of our award-winning OutDry™ Extreme waterproof-breathable material with the membrane on the outside, and featuring contoured sleeve cuffs and adjustable peripheral hood, this is your go-to jacket. Plus, it&apos;s backpack-compatible.